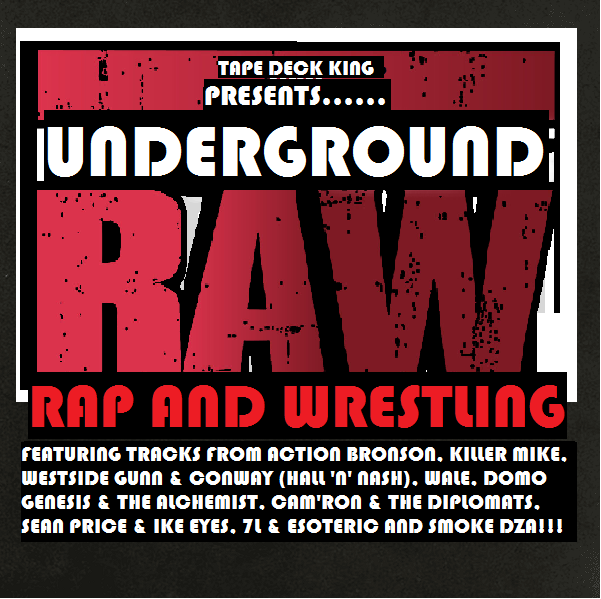 DJ Tape Deck King, aka T.D.K, returns with a brand new mixtape that looks at the long, yet unusual, relationship between Hip-Hop and Pro Wrestling!!! Let’s face it the Hip-Hop culture loves Pro Wrestling and this tape is proof as it is nothing but straight up references and tributes to wrestling greats such as Ric Flair, Dusty Rhodes, Hulk Hogan, Randy Savage and Kurt Angle from such artists as Action Bronson, Westside Gunn, Wale, Smoke DZA, Killer Mike and more!!! Throw in the old school Monday Night RAW intro and you’ve got some real gold here!! !